A dental bridge is an economical and effective way to replace missing teeth. Acting literally as a bridge between gaps left by missing teeth, dental bridges offer a strong aesthetic and functional solution for many of our patients. Traditional bridges: The most common type of dental bridge, this option utilizes adjacent teeth on both sides of a space to anchor the replacement tooth. Cantilever bridges: When adjacent teeth are only available on one side of a gap, a cantilever bridge will be used to hold your dental restorations in place. Maryland bonded bridge: For the replacement of a tooth, this method uses a bonding process connected to several teeth for support. This type of bridge is made of a composite or porcelain material that is supported by a metal framework attached to adjacent teeth. 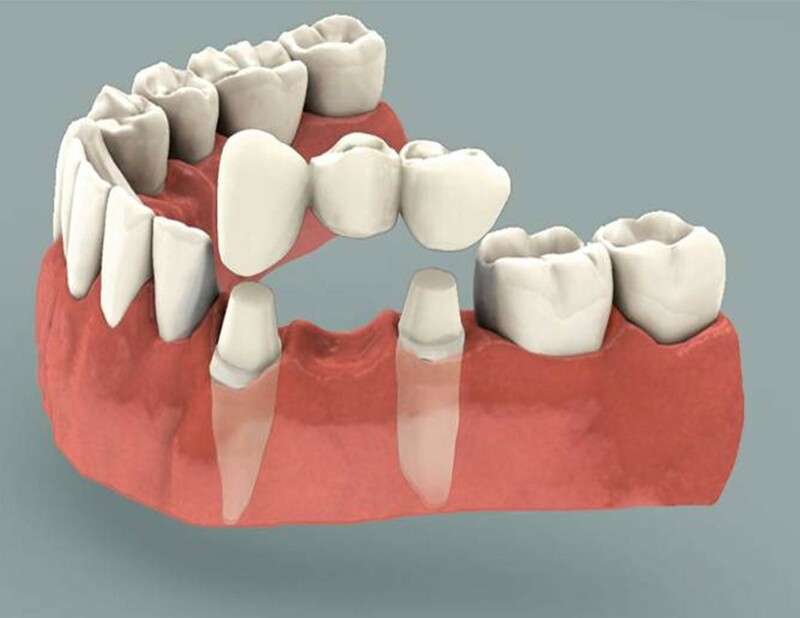 All Porcelain bridge: These are highly cosmetic, all porcelain bridges that can be placed on front teeth or back teeth to restore your smile and provide chewing support as well. Examination of existing restorations: Check current fillings, crowns, and bridges to make sure there is no fracture or recurrent decay present. Dental bridges offer a wonderful solution for many of our patients and are a good consideration for replacing missing teeth. During your initial evaluation with Dr. Stewart, all of your tooth replacement options will be discussed and the solution best for your smile determined. If you are missing one or more teeth and live in Bakersfield, please contact Dr. Stewart (link his name to contact page) to schedule a your first visit – dental exam today.